How to Make an Augmented Reality app without any coding? The latest buzzword in the world of technology Augmented Reality or AR has found its way into our lives and even in our everyday vernacular. It has found application in a number of things starting from gaming to ecommerce to education and healthcare. 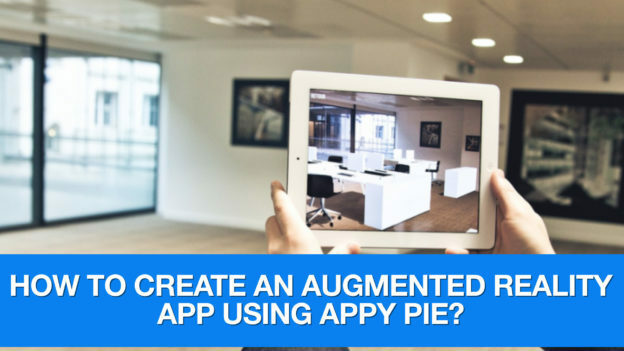 Watch the latest episode of Ask Snappy and find out how easy it is to make an augmented reality app of your own without any coding in minutes! This entry was posted in Ask Snappy on April 4, 2019 by DJ. DJ, a proficient content writer at Appy Pie, has a combined experience of more than 5 years working in the digital world. He is one of the active contributors to the Appy Pie Blog and has keen interest in writing blogs on the Internet of Things, Augmented and Virtual Reality, Artificial Intelligence and other future technologies. Apart from writing, DJ also manages the company’s social media profiles. A health and sport enthusiast, Deepak loves to indulge in all kinds of sports & games.